Moar. Succulents. I couldn’t help it, guys. I was at the flea market when I came across multiple booths full of succulents and they were soooo cheap and sooooooo cute. Maybe it was the hysteria of the people crowding around and packing cardboard boxes with their succulent choices that urged me to take advantage of the situation. Next thing I knew I was grabbing a cardboard box myself and making my own selections. I showed some restraint though by picking a small box to fill. Being that the succulents I chose were mini, I kept in mind that I would probably be putting them all in the same container together to make a mini succulent garden. Consolidation, alright! So on the way home, we passed by a Goodwill and I thought hey we should drop in to see if there’s something I can plant my new baby succulents in. Unlike most of my thrifting adventures, I found what I was looking for. Ok so I didn’t know exactly what I was looking for, but this bowl I came across was the perfect size and shape, and I LOVED the little pedestal at the bottom (so cute), and the 99 cent price tag said let’s do this. First, I roughly figured out how I wanted to arrange my succulents for the mini garden. Then I filled the bottom of the bowl with rocks. Next I put in a layer of soil on top. One at a time, I planted in each succulent, scooping and packing in cactus soil wherever needed and pushing everything in tightly. This batch of succulents was all about picking ones I didn’t already have (minus the zebra). I love every and all succulents, but I find myself drawn to the weirder looking ones, and that alien one in the front is the weirdest of them all. The guy at the booth told me it’s called Baby Toes, and I said how freaking cute. Maybe a little creepy, but I like that it’s so strange. The pale blue color is so unique, too. I think you already know it’s my favorite one. Anyone know the name of the clustered one next to it? That one is my second favorite. Thanks for sharing, it is super nice of you. It’s super nice of YOU to leave me such a sweet comment, Edith. Thank you so much! What a cute little arrangement! They’re all so unique. What a gorgeous arrangement! You have such a great eye for stuff like this. Love how it turned out in your little bowl. Hen and chicks!!!!!! That more than confirms why it’s my second favorite here. Succulent shopping together would be wild and crazy. It shall be done. Hah sounds like a sample sale in NYC- for succulents! 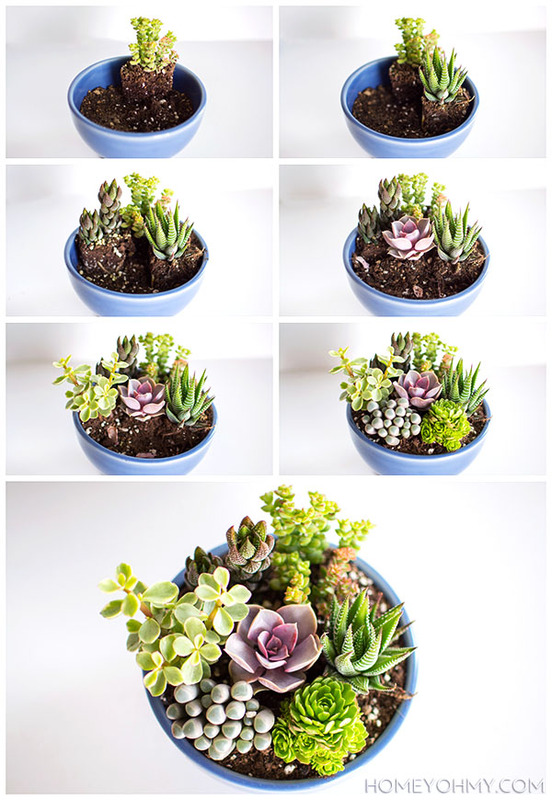 Love the photos and I love how simple the steps are to make a perfect succulent garden. Thanks for sharing! Oh girl I am done with stressful sample sales haha but you’re right to think that it was kind of like that! So happy you liked this post. Thanks, Cassandra! You mean the dinosaur one! That’s not what it’s actually called but that’s what I named it. I love it too (duh). Haha I can so imagine you laughing. I wish just this one bowl was enough for me. Maybe it is. I’d never test that though. Ursula you’re so sweet!!! 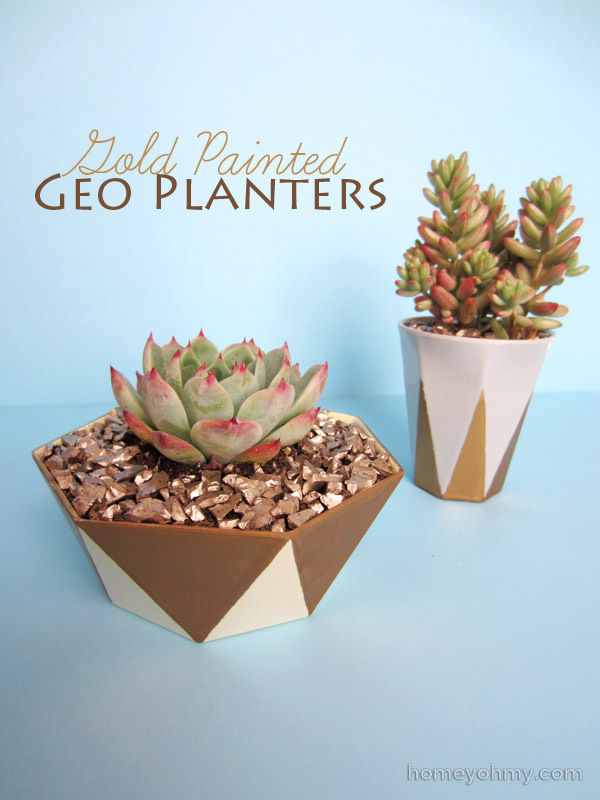 The blog could really be about just succulents. Man that would be fun. I recently discovered your blog and I absolutely love it! I’ve been decorating my first apartment have gotten so much inspiration from your blog! Thank you for being so awesome. It looks great, and that bowl was a great find, just perfect. No idea what any of them are called though – sorry. Yea, I really should’ve asked for the names of all of them instead of just the Baby Toes… Oh well! Thanks, Julie! 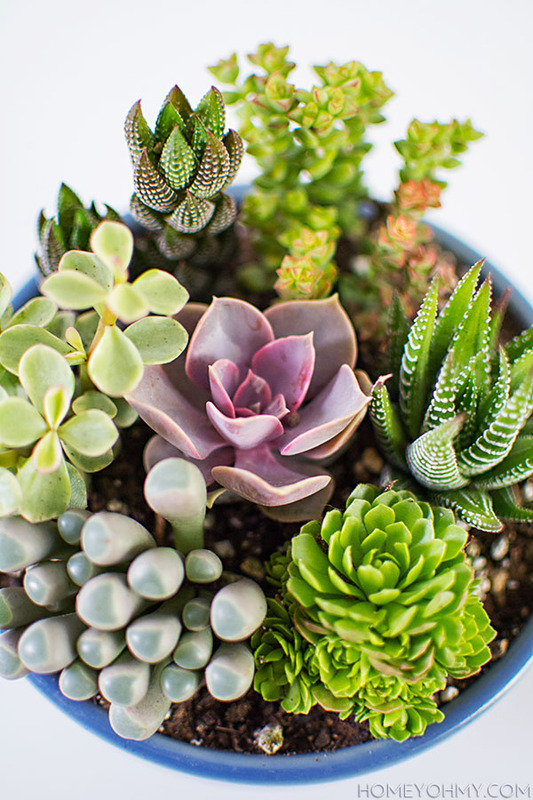 That is one of the prettiest succulent plantings I’ve seen. Are they hard to care for? The blue bowl really makes it striking! Thank you, Sharon!! 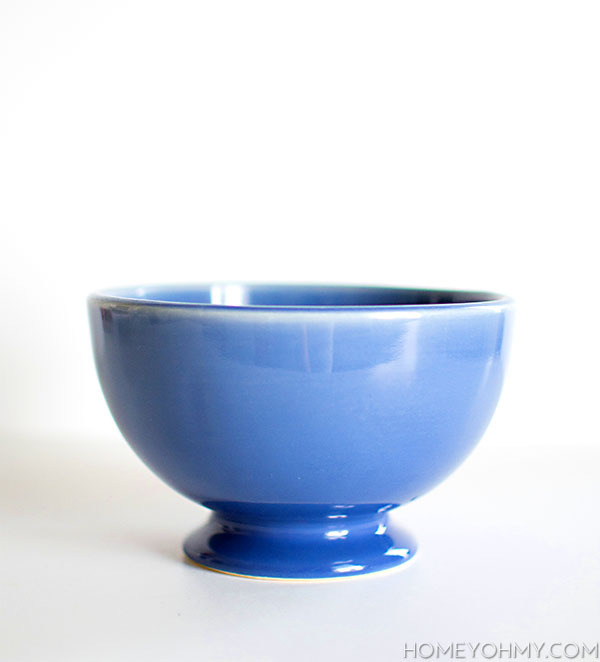 I agree about the blue color of the bowl. It’s totally something I wouldn’t have set out to get but it ended up working out really nicely! I don’t think they’re hard to care for, but I wouldn’t agree with the claims that succulents are impossible to kill. I’ve killed a lot… and what I’ve learned is to water them minimally and keep them in bright, direct sunlight. Do you fertilize them ever? If you, how often? I figure you should water them weekly? Some sites say just to spritz or mist them instead of watering. What do you recommend? 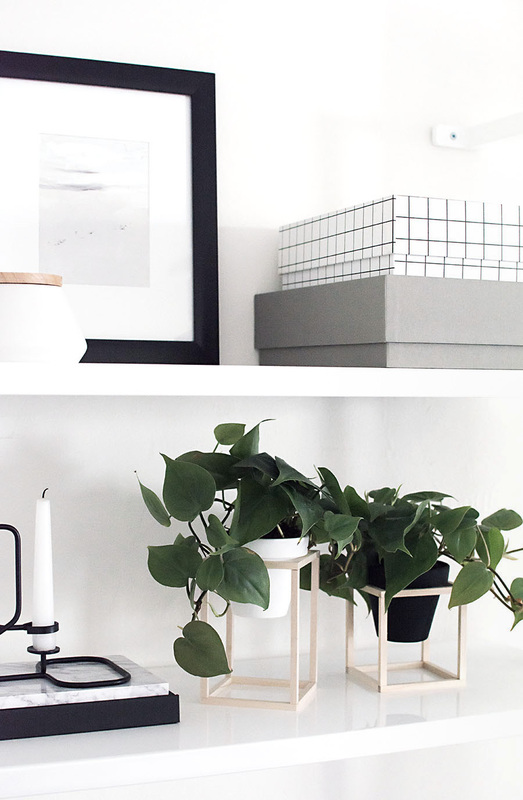 As a plant lover I’m always looking for something to diversify my indoor plant family. I love this! I can’t wait to make one for all the mothers in my family (including me)! ;) thanks for sharing. 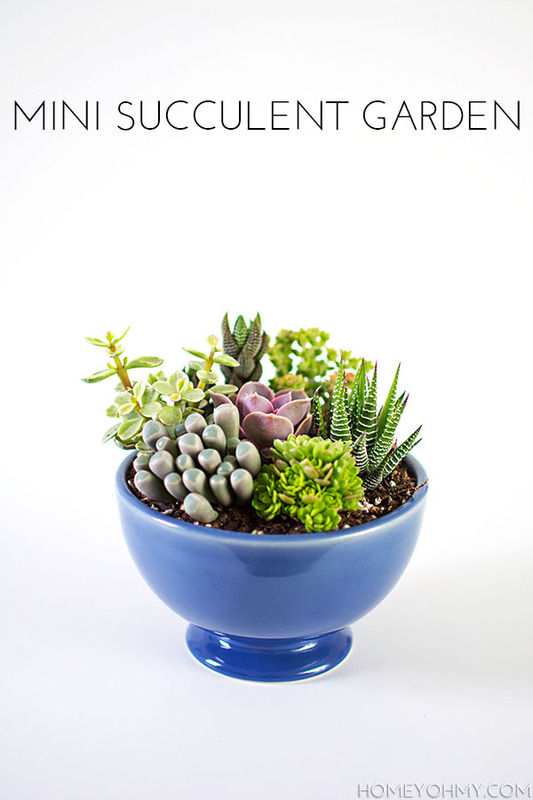 Thanks for sharing, been meaning to do a succulent garden and this seems so simple. I, too, am obsessed with succulent! One suggestion since you don’t have a drainage hole (at least I don’t think you do)…I learned as a science teacher, when creating a closed terrarium in which water will inevitably sit, to add a layer of activated charcoal (I buy mine at PetSmart), then a layer of cheese cloth, and then the soil. The charcoal keeps the sitting water in the bottom from getting stinky whIle being so stagnant. I have a closed terrarium that I’ve only watered 2 times since 2012! finally I found how to do a succulent garden . Abd a mini one . On my way to get started. I am so excited. I don’t have a green thumb . Wish me luck . Hi Janet! 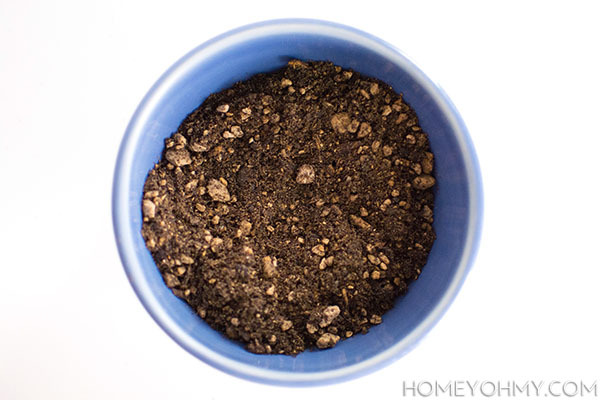 Succulents require cactus soil for better drainage. Yes, mine doesn’t have a drainage hole! 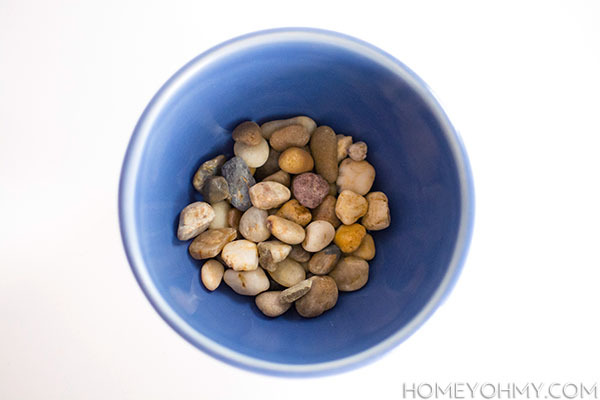 It’s recommended that if there’s no drainage hole to put rocks at the bottom so that the water has somewhere to collect without drowning the soil. Did you make holes in the bowl? Hi, no I did not. 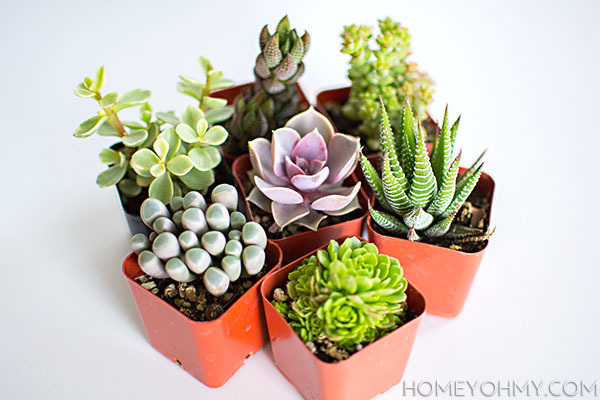 When buying mini succulents do you think they will they grow much bigger? 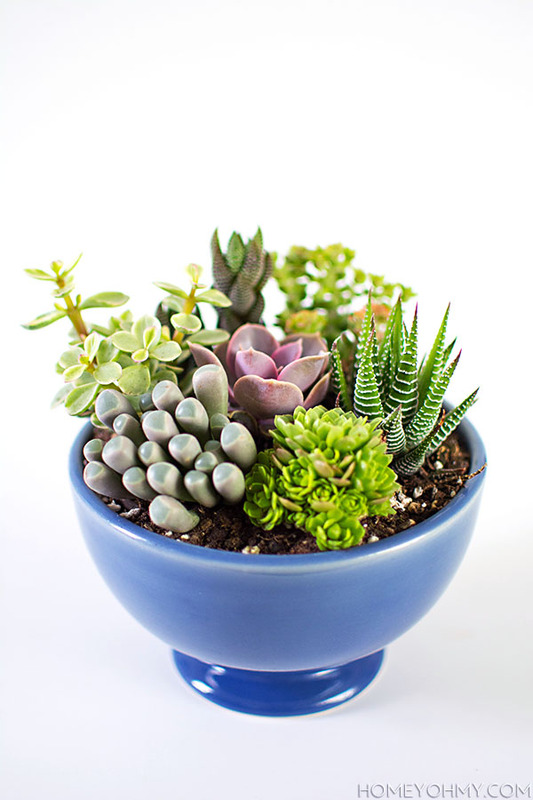 I just recently planted a small plant in my mother’s backyard, and I think she would love a gift like this! I am very new to all things green (and flowery)! So, I am trying to start with things that look doable and easy. One more question; do you think it would matter which ones we combine together? Thank you! 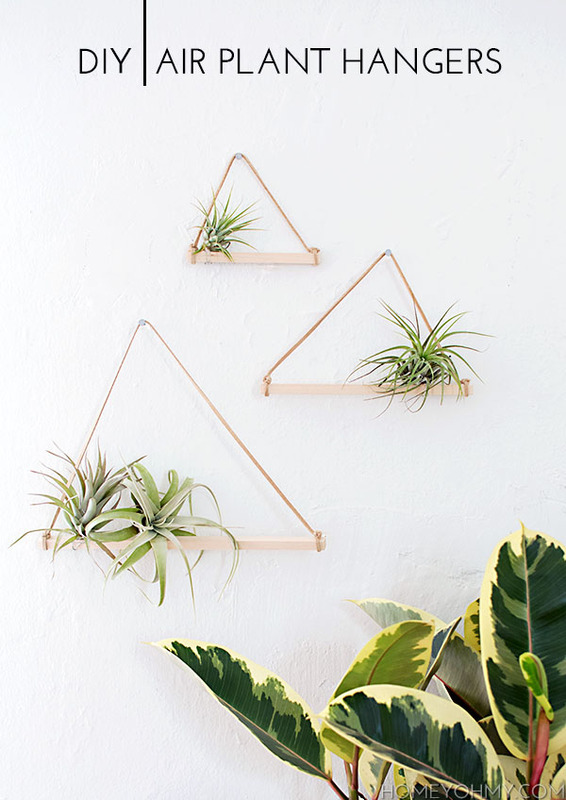 There are so many variations to this simple art piece you could do. Dad’s hands could be row one, Mom’s row two, toddler’s row 3 and a newborn baby handprint at the top of the tree…how cute would that be?